Study Master of Management (Human Resource Management) at the University of South Australia (UniSA). Information for International students. Learn human resource management systems and the tools to problem-solve in the global economy. Develop advanced skills in leadership, strategy and decision making. Join the Executive Partners Program for invaluable industry insights and expert advice from a senior business executive. Graduate with a qualification accredited by the Australian Human Resources Institute (AHRI). 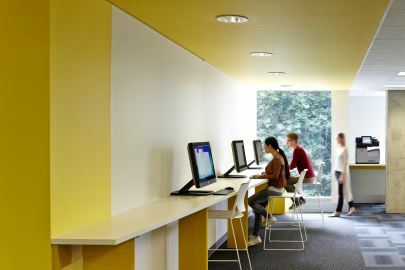 The Business School is ranked in the top one per cent worldwide1 and has been awarded an overall five stars for excellence in the QS Stars Ratings 2019. UniSA is No.1 in SA for postgraduate employment outcomes in Business and Management2. Our teaching is informed by above world-class research in Business and Management3. 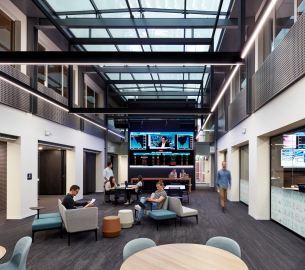 1UniSA Business School is one of just nine institutions in Australia and 180 globally to be accredited by EQUIS (from over 16,500 worldwide). EFMD, February 2019. 2QILT: Graduate Outcomes Survey Course Experience Questionnaire 2016-18 – Full-time Employment Indicator. Public SA-founded universities only. 32015 Excellence in Research for Australia (ERA). In this degree you will learn contemporary management skills and study areas such as strategic management and human resources. You will gain the confidence to manage organisations and achieve business objectives in an efficient and effective manner. You will be immersed in real-world challenges and have access to industry placements, overseas study tours and elective courses to suit your personal and professional development needs. During your studies you will develop an advanced understanding of business and management and graduate with the capabilities to be a successful leader and decision-maker in any business setting. You'll benefit from a range of experience-based learning opportunities, including overseas study and business mentoring by a senior business leader through the Executive Partners Program. Our summer and winter schools offer exciting study and learning opportunities. With options such as intensives and internships, you can spread your study load across the year, increase your exchange opportunities or fast track your degree. You will also complete two postgraduate electives chosen from courses delivered across the Business School and the University. They will enable you to develop skills from selected key disciplines essential for management in business. 1. This is a capstone course and must be completed as the last course in the program. 2. 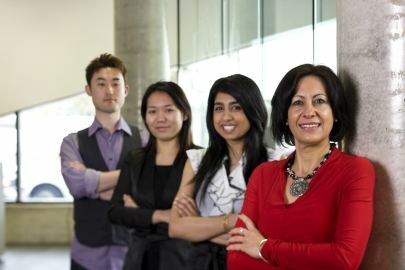 Students undertaking the Transition to Masters pathway between the Bachelor of Business and Master of Management (Human Resource Management) program will receive credit for this course. 1. To be selected from the specialisation elective list or may be used to complete an international short term exchange, internship or Business School electives approved by the Program Director. 2. The Australian Industrial Relations course listed in the electives is strongly recommended for students who intend to work in the human resources field in Australia. 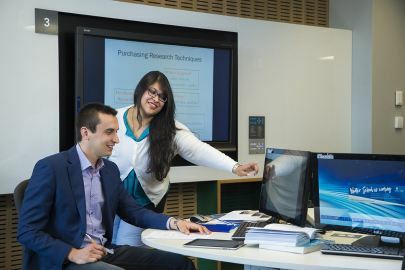 The UniSA Business School is recognised and respected for a comprehensive research program inspired by the contemporary challenges facing Australia and its region. Our focus is always on finding practical solutions and creating new knowledge. We are strongly committed to research with an industry focus. In the 2015 Excellence in Research for Australia (ERA) rankings, 97 per cent of our research was assessed as at or above world-class. We have particular strengths in marketing and management, and we are one of only three business schools globally with an academic focus on SME business growth. Read more about our strengths in research. One of only nine in Australia with EQUIS accreditation, our Business School is ranked in the top one per cent worldwide1. EQUIS is the world’s leading international accreditation for business schools, awarded by the quality assurance arm of the European Foundation for Management Development (EFMD). The Master of Management is designed in consultation with our network of industry and professional partners. It is informed by world-class research in management, marketing and business, combining up-to-date theory and the practical application of management models and methods. In your human resource management (HRM) specialisation you will gain an advanced understanding of complex HRM systems and the tools to problem-solve in our global economy. Our curriculum is informed by world-class research into current and future workplace challenges. Our researchers take a scientific approach to enable organisations and employees to be innovative, agile and adaptable as the global marketplace, people, and technology continue to change. As a graduate, you can rest assured that yours is a globally competitive degree that is respected internationally for its quality and relevance to industry. You will be equipped with the knowledge, skills and experience to succeed in your future career—no matter where in the world you choose to work. 1UniSA Business School is one of just nine institutions in Australia and 180 globally to be accredited by EQUIS (from over 16,500 worldwide). EFMD, February 2019. Our links to UniSA’s research facilities ensure your learning is connected to the latest technologies, theories and applications of knowledge. In the Master of Management, our teachers are leaders in their field. You could be working with people from globally recognised research groups such as our Ehrenberg Bass Institute for Marketing Science. Placements and internships bridge the gap between study and work. Our connections to industry create opportunities for you to grow. These experiences build confidence in the business world and give you a competitive edge. This program is accredited by the Australian Human Resources Institute (AHRI). Graduates satisfy the requirements for professional membership of the AHRI. This accreditation signifies to employers that this program equips graduates with the AHRI Model of Excellence capabilities to deal with the full range and complexity of tasks inherent in the profession of human resource management. By 2020, employment for human resource and training professionals in Australia is projected to increase by 3,200 by November 20201. I wanted to support my growing work experience with additional evidence-based learning. The opportunity to learn and think more broadly outside of my specific area of business has enabled me to go back into my specialist role and apply my new-found knowledge. "In the midst of a career change, I really liked that the program gave me a generalist overview of the theoretical components of HR but at the same time exposed me to global HR too."